Sineris has been providing Enterprise Hosting Solutions in USA for over 17 years! Currently serving thousands customers in USA & Worldwide. Sineris clientele includes individuals and companies of all sizes. We build and manage our own infrastructure in the USA utilizing Enterprise Hardware, Tier-1 connectivity and SSD RAID to ensure highest level of performance, reliability & Security. Sineris Head Office in the USA is located next to a Tier-4 Data Center. Our primary network infrastructure is kept in a private cage at this Data Center. Our secondary infrastructure is located in Dallas, Texas. We are actively working to establish network presence in other regions. Sineris is a direct Web Hosting provider in USA, even the dedicated server line is fully owned and managed by Sineris. Most Web Hosting companies in USA are resellers of some other company. World's most popular directory of Martial Arts School, featuring over 30,000 locations in various countries. A Comprehensive catalog of Newspapers and Magazines in each country. 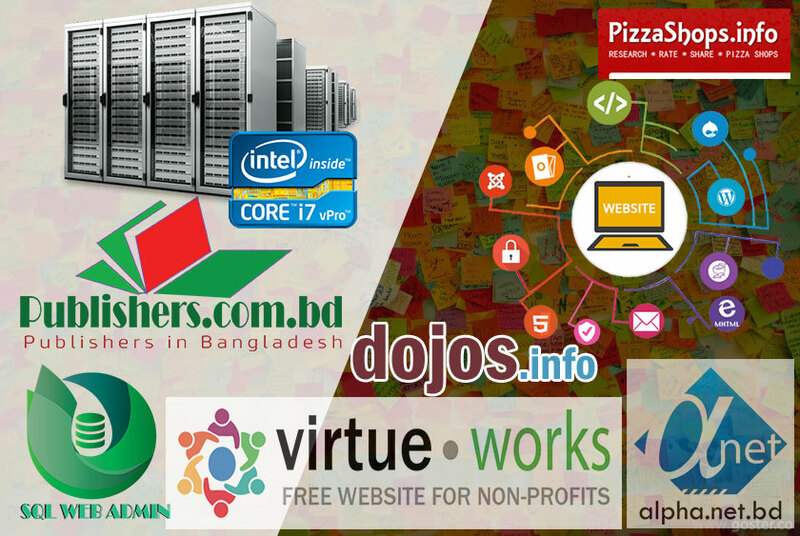 Providing Free Website Design For Non-Profits Organization. Website featuring Pizza Restaurants in the USA, helping people locate a Pizza place near them. Complete Catalog of bangla Books Collection.